Sabrawal, Himani. (2016). A study of integration and perception about Learners use of ICT as an integral, accessible and utilitarian resource of teaching-learning in teacher education. Unpublished. Ph.D., Education. Banasthali University, Rajasthan. • To study the perception of learners towards integration, accessibility and utility of ICT. 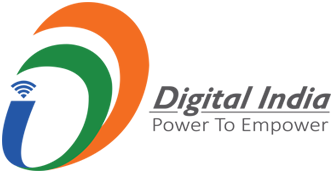 • To verify the availability and accessibility of ICT equipments in TEI’s of Dehradun. • To ascertain whether the available ICT equipments is properly utilized in the training of pupil-teachers in TEI’s of Dehradun. • ICT equipments are properly utilized in training of pupil-teachers in TEI’s of Dehradun. The population for the present study consisted of 3300 pupil-teachers studying in the B.Ed colleges of Dehradun.The sample in this study was disaggregated by region i.e B.Ed Colleges of Dehradun district through stratified random sampling. The sample is 750 pupil teachers. Survey method was used for the study. Descriptive statistics using frequencies presented in the tables and histograms was used in this study, while the t-test and ANOVA is used to calculate the statistical significance regarding the perception of learners towards ICT. The data was analysed using SPSS.t-test was used to investigate relationships between pupil-teachers’ gender, locality, type of institution and streams of subjects offered and perception towards ICT skills, purpose integration ,usage and accessibility in teaching in teaching-learning of B.Ed training programme. Multivariate analyses of variance (MANOVA) were used to compare the mean scores on the basis of streams /subjects offered and perception of learners. The student teachers at the B.Ed colleges of Dehradun have positive attitude and perception regarding their ICT skills and related computer applications. The study found that disciplines or streams of subject didn’t have any effect on the perception of pupil-teachers towards ICT in education. They also found that there was no difference in the attitude of teachers using technology in college and classes. Findings from the study shows that the organization type government and non-government did not affect the perception of learners towards ICT, its skills ,purpose, intergrity, usage and accessibility in education . The study found that student teachers agree that the integration of ICT in their compulsory and optional subjects in B.Ed programme possibly encourages them to engage in deeper forms of learning. Findings from the study further suggests that a majority of student teachers have positive perceptions about using ICT in their learning and it seems students more readily use ICT for informative and functional purposes which appear to be of educational value and might enhance deeper forms of learning. The study strengthens the opinion that there is a need for chalking out a curriculum integrating ICT. Further, there was a significant difference between male and female teachers, indicating that male pupil-teachers were more confident to use ICT with their assignments in teaching and learning.